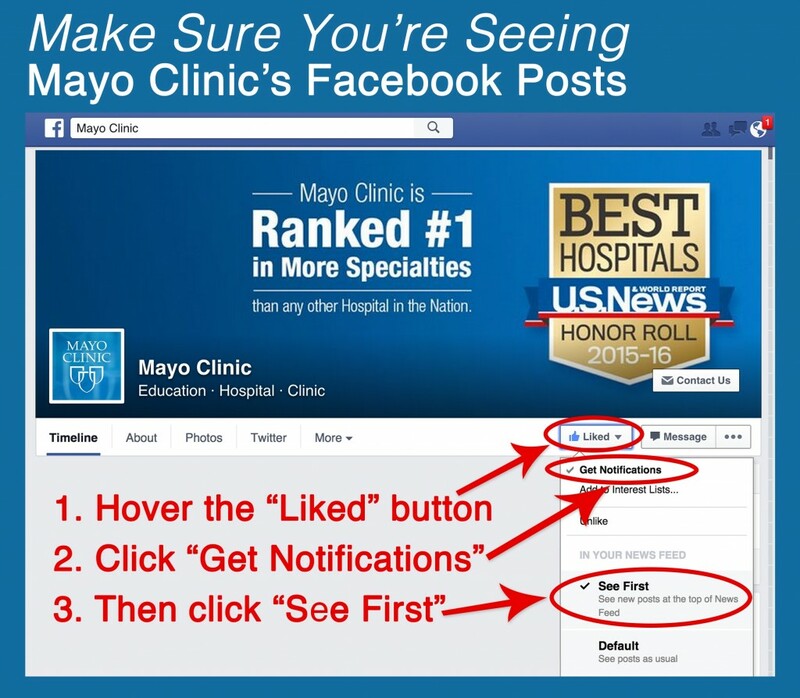 Mayo Clinic’s daily Facebook posts typically include health and wellness tips, events, information on latest treatment options, research updates and patient stories. Most of us have accumulated hundreds of friends on Facebook and have “liked” several businesses or organizations. So at any one time Facebook’s algorithm is choosing from among 1,500 items could put into our News Feeds, and preference is given to posts from friends vs. the Pages you've liked. We are very thankful for our Facebook community and strive each day to provide you with the best health care related content that is topical and important to you, your friends and your family. Thank you and Like on!